150 questions which will be equally divided into 3 parts/ NPAT sections. Quantitative & Numerical Ability, Reasoning & General Intelligence and Proficiency in English Language. Correct Answer: (+) 1 Mark; Incorrect answer: (-)1/4 mark. Exam type: The NPAT 2019 exam will consist objective type multiple choice questions. Papers: Paper-I is Common, and Paper-II is Design. Mode of Exam: NPAT 2019 will be conducted through Online mode i.e Computer Based test. Duration: The total time allotted for Paper-I is 120 minutes and for Paper-II is 90 minutes. Total number of question: There will be a total of 120 questions in paper-I and in paper-II 60 questions will be asked. Medium: The medium of examination will be English medium. Negative marking: For every wrong answer there will be a deduction of the 1/4 mark. The exam pattren for different courses and streams are given below. The candidates should check the pattren for their desired course exam. Type of Questions: It is multiple choice question paper. Duration of Exam: The exam duration will be two hours. No. of Questions: Total 150 questions will be asked. 50 questions each will be asked from English, Quantitative & Numerical Ability and Reasoning & General Intelligence. Negative Marking: 1/4th of the marks will be deducted for a wrong answer. Will the NPAT exam consist of descriptive type questions? The NPAT exam consists of objective type multiple choice questions. I am an NPAT 2017 Aspirant. What is the Total Questions & Duration of NPAT 2017 exam? The composite time for the entire NPAT test is 120 minutes (2 hours). There will be a total of 150 questions which will be divided equally into the 3 NPAT sections. Is there any negative marking in NPAT 2017? Yes, ¼ of the marks allotted to the questions will be deducted for each wrong answer in NPAT 2017. What are the subjects we need to attend for NPAT 2017 exam? What is the division of marks for English subject for NPAT 2017? The NPAT 2017 exam paper in the field of English Language is section wise and there are 50 marks allotted for the paper. What is the exam pattern for the NPAT 2017? 1. 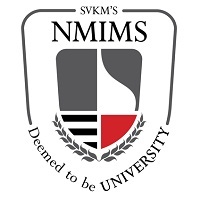 The NMIMS NPAT exam consists of objective type multiple choice questions. 2. No descriptive type of questions is asked in the NPAT exam. 3. The composite time for the entire NPAT test is 120 minutes (2 hours). 4. There will be a total of 150 questions which will be divided equally the 3 parts/ NPAT sections. 6. Each of the questions in the NPAT exam carries 1 mark. 7. The correct marked answer will be awarded 1 mark and for every wrong ¼ marks will be deducted. What is the subject wise mark allocation for the NPAT exam?